31 Percent Of U.S. Households Have Trouble Paying Energy Bills A report released Wednesday by the Energy Information Administration announced that African Americans, Hispanics and people with children were most impacted. According to the latest results from the Energy Information Administration, nearly a third of households in the United States have reported trouble paying their energy bills. About one in five households had to reduce or forgo food, medicine and other necessities to pay an energy bill, according to the report. "Of the 25 million households that reported forgoing food and medicine to pay energy bills, 7 million faced that decision nearly every month," the report stated. The data come from the federal agency's most recent energy consumption survey in 2015. That year, expenditures for energy were at their lowest in more than decade, according to the agency. "We only conduct the Residential Energy Consumption Survey every 4-5 years," survey manager Chip Berry told NPR by email. "This is the first time in the history of the study (goes back to late '70s) that we have [measured] energy insecurity across all households, so there's not much in the way of historical comparison." "It's not shocking, because the communities of color disproportionately face all the highest burdens, whether it's housing, lack of jobs or education," Tracey Capers, executive vice president of the Bedford Stuyvesant Restoration Corporation, a community development initiative in New York, told The Associated Press. A 2016 study by the American Council for an Energy-Efficient Economy and Energy Efficiency for All found that African-American and Latino households "paid more for utilities per square foot than the average household." Housing for the low income also tended to be less energy efficient, researchers found. Families in that group were at higher risk for respiratory diseases and stress. "Households can spend more than 20 percent of their total income on their electricity needs," George Koutitas, CEO and co-founder of Gridmates, a crowdfunding platform told NPR. 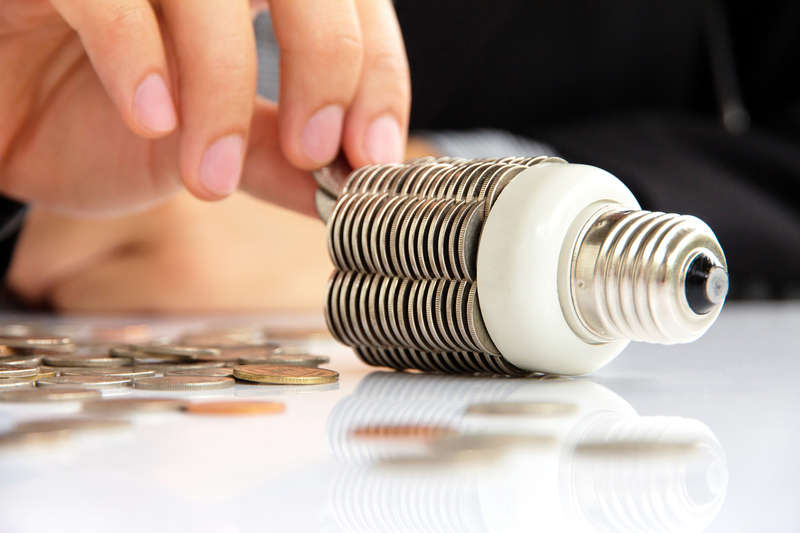 Gridmates funnels donations to utility companies for struggling customers' energy bills. Low-income heat assistance programs, he says, only go so far. Weatherization programs that insulate a home "take a lot of time and they are not very responsive." Bill assistance alternatives, he says, are underfunded and have been canceled. "Please I beg you to bring back this assistance with electricity," a woman in northern Texas wrote, after a state assistance program called Lite-Up Texas ran out of money, according to The Texas Tribune. "I am going to freeze during this cold season."